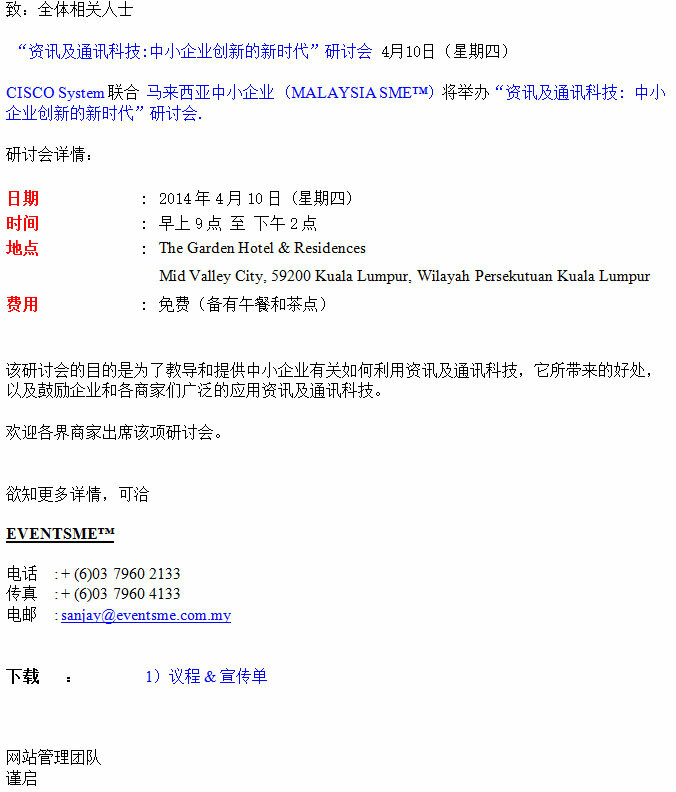 Please be informed that CISCO System in collaboration with MALAYSIA SME™ will be organizing Seminars on ICT The New Era of SME Innovations. The objective of the event is to educate SMEs on the benefits of ICT as well as to encourage the wider adoption of ICT in the businesses. Participants will be well spent here by gaining access to quality content, new business tools and high-impact networking opportunities with like-minded entrepreneurs and industry leaders to further develop their business.